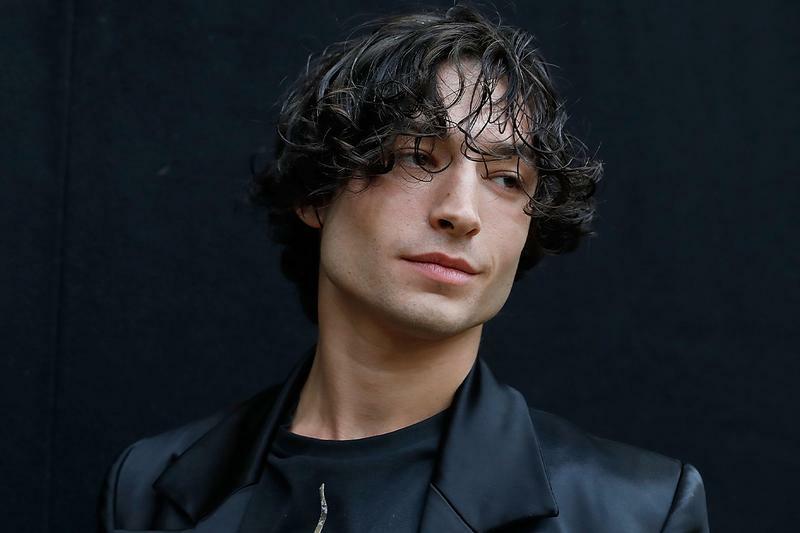 Ezra Miller Bio: Net Worth, Rumors, Movies, Height & More - Picnic! The full name of Ezra Miller is Ezra Matthew Miller. He is an American actor who was born on 30th September, 1992 in Wyckoff, New Jersey. Ezra has mixed ethnicity with German, Dutch and Ashkenazi Jewish heritage. Ezra has had a passion for singing and acting since he was very young. Today, he has earned himself a named after working in a few movies that did pretty well on the box office. Other than acting he also likes to sing and is a member of a band as well. Ezra was born and raised in Wyckoff, New Jersey along with his two elder sisters, named Caitlin and Saiya. His mothers name is Marta Miller and she is a modern dancer. Ezras father, Robert S. Miller was the senior vice president for the Hyperion Books. He later started publishing for Workman publishing. His mother has a Christian background and comes from a Dutch and German ancestry, whereas his father is Jewish. Ezra identifies himself as a Jew and spiritual. When Ezra was asked about his childhood, he referred to it as a little boring and a very strange materialistic culture, with very few values. He said that growing in suburbs of New Jersey was not easy and that he had a lot of anger towards his surroundings. In order to overcome a speech impediment, he began training for opera singing when he was six years old. Ezra has performed in the American premiere of Philip Glasss opera White Heaven and he has also sung with the Metropolitan Opera. He got his education from Rockland Country Day school and the Hudson school until he dropped out of school at the age of 16. Ezra Miller is known to be a queer man. However, even though he identifies as a queer man it is important to know that he is not gay. He has revealed that he is interested in both women and men. He says that he has many amazing friends from both sexes and feels open to love where ever he finds it. The list of his exes includes Shailene Woodley, Esther Wald, Lauren Nolting, Zoe Kravitz, and Erin Urb. In the past, Ezra was engaged to an American model Erin Urb. However, they broke up as the actor is single at the present and is not known to have a girlfriend or a boyfriend. Marta Miller helped develop the imagination, aspiration, curiosity and creativity in her kids. According to Ezra, the credit of his actors career goes to his mother. Since a young age, Ezra had a speech defect because of which his parents sent him for vocal lessons. After a short time, he overcame his defect but did not give up on singing. On 28th June 2011, while he was shooting for the movie The Perks Of Being A Wallflower, Ezra was seated in a car that was pulled over due to a broken brake light. The police found 20 grams of marijuana in the possession of the people in the car. Hence, Ezra was charged for drug possession, though this charge was dropped later by a judge. Other than this, the young actor had to face a penalty of $600 due to two citations of disorderly conduct. Later Ezra revealed that he did not hesitate in confessing that he smoked pot. He said that it is a harmless herbal substance which is known to increase sensory appreciation. Miller came forward with his #MeToo experience with a Hollywood director and producer, both of which were not named, in an interview with The Hollywood Reporter. He revealed that he was given wine even though he was underaged. Ezra came into the spotlight after he made his debut in the feature film After School in 2008. After this he made an appearance in the movie City Island and played the role of Vince Jr. He appeared in two movies Every day and Beware of the Garcia in 2010. Both of these movies premiered at the Tribeca Film Festival. In 2011, he starred as Kevin in the movie We Need To Talk About Kevin opposite Josh C. Reilly and Tilda Swinton. His performance was loved by a large audience and he received critical acclaim at the same time. After his performance in this movie, he was more recognized in the entertainment industry. We Need To Talk About Kevin was a book based movie. He is also quite well-known for his role in the movie adaptation of The Perks Of Being A Wallflower which was released in 2012. Other than this he costarred in the movie Train Wreck and The Stanford Prison Experiment which were released in 2015. All of these movies were quite successful in the box office and the performance of Ezra was appreciated by the viewers. Ezra has been a Harry Potter fan since a very young age and he was super excited when he was featured as Credence Barebone in the Fantastic Beasts movies in 2016 and 2018. He played the role of The Flash/Barry Aleen in the DC Extended Universe and was the youngest actor to be ever casted in the DC comics Superheros. He was seen in the movie Batman v Superman: Dawn of justice. He made a cameo appearance in the super hit movie Suicide Squad and Justice League as well. Other than this he has also worked in various TV shows including Californication and Royal Pains. The talented actor is also an instrumentalist and singer with the Sons of an Illustrious Father band. He has a total net worth of $1 million and is still working in the entertainment industry. His present net worth is expected to increase in the upcoming future as he is very active in both acting and singing. Ezra Millers weighs 72 kg and his height is 5 feet 11 inches. His shoe size is 8 UK and he has dark brown eyes. His other body measurements are 28 inches for waist, 30 inches for chest and 12 inches for biceps.